Discussion in 'Gameplay Discussions' started by hurfmurf, Aug 19, 2018. In another thread I made a remark about how I think the one aerial raid shown so far was fairly lame and that in my opinion there should be a way to make the aerial battle gameplay more fun and dynamic. 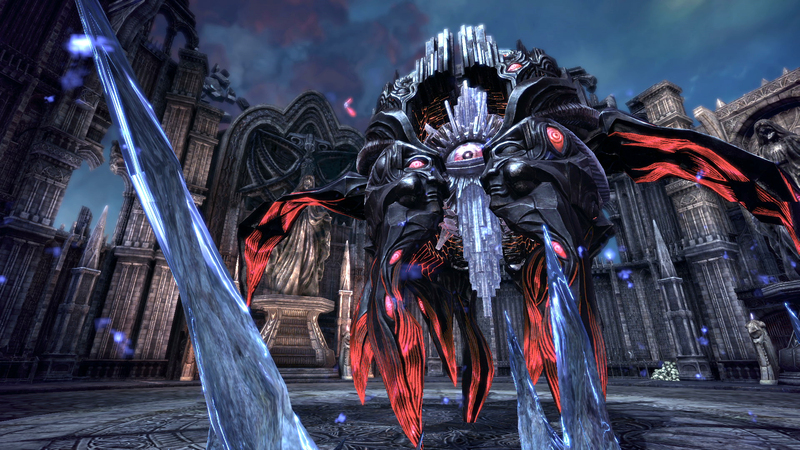 As an example for a fitting raid boss i chose Melditha from Tera Online. And as an MS Paint professional I went a bit further and developed this cocept a bit further, with some terrific works of art for a better visualization. - top spawns lots of small flying creatures and is surrounded by a strange force field that damages the drives of flying ships within a fairly short time; bigger ships are a bit more resilient but will ultimately succumb to the effect after some time, too. Raidboss starts pumping energy from the planet(lore reason to kill it). Players move in and start attacking. 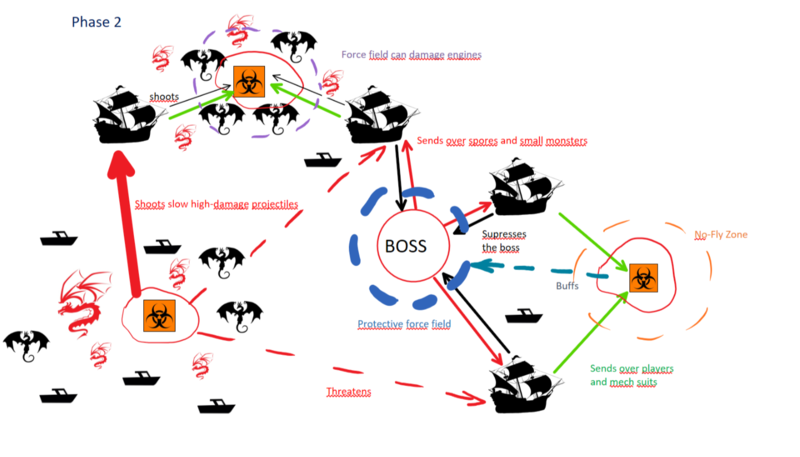 The raid boss shields itself by a protective shell or a force field. It begins to pump visibly more energy from below the surface. From time to time it try to shoot a laser beam from its big eye at the largests ship in vincinity or tries to infect ships at further ranges with spores. Meanwhie the infected isles present the major danger by pumping out small and big critters in big numbers. The artillery on the left isle gets bigger, more numerous and shoots further. 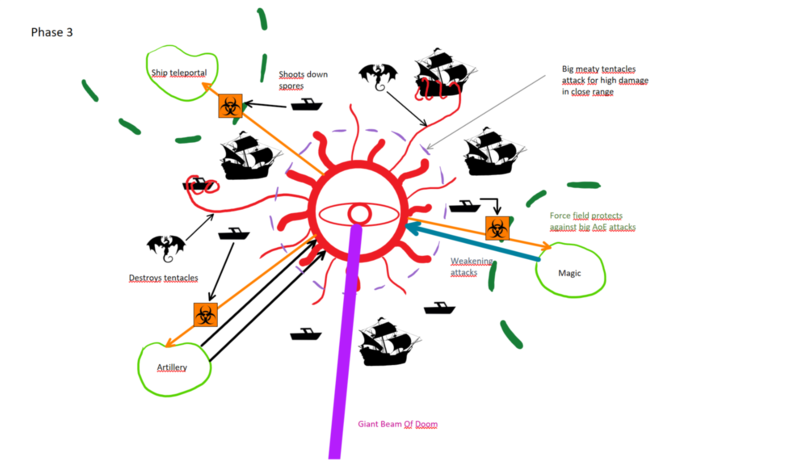 The isle containing only ground troops may expand the magical no fly zone and starts sending energy to the raid boss, which makes its shell stronger, its attacks happen more often and the spore creatures it shoots at ships stronger. The top left isle would spawn mainly lots of smaller flying critters but woud zap the ships nearby with a magical energy that shuts off their engines, and increase the range of this attack if left alone unchecked. During that phase payers woud need to destroy its protective shell and suppress the boss by shooting its big and smaller eyes when they open with flagship guns to disturb its energy absorbtion and to prevent big eye attacks. Dropping people onto the no fly zone isle woud happen by special catapults on fagships or by players using jetpacks or similar technical gadgets.